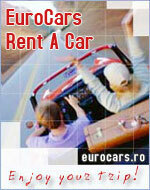 Category: ** Address: 47 General Ion Dragalina Bd. Nord Hotel, located close to North Station Timisoara, offers customers who will step into a two-star standard accommodation, upgraded rooms and a holiday atmosphere. The 39 rooms fully furnished models like Standard Single, Double Standard, Apartment, accommodation at a rate competitive with other hotels in Timisoara host your stay favorable both in terms of price and quality. Each of these rooms have modern furniture, refrigerator, television, telephone, ventilation systems, so you're welcome to visit Timisoara and its tourist attractions.